This fabulous restaurant has expanded over the years (like its customers' waistlines no doubt) to keep up with demand and now includes a bar and private dining room. Head chef Andy Needham continues where Giorgio Locatelli left off, serving up remarkable dishes consisting of old favourites cooked with loving care and a few twists from the finest ingredients available. It's the freshness and the clear flavours that make this kind of Italian cooking an art-form. The wine list is good and very fairly priced, and the service is incredibly attentive even if you choose a busy time and the cheapest set menu available (we did). The desserts matched the main meal: superb. Unfortunately the genius in the kitchen is well-known and you need to book weeks in advance. Set menus available lunch and dinner. Zafferano gyms, sporting activities, health & beauty and fitness. The best pubs near London Zafferano. Zafferano clubs, bars, cabaret nights, casinos and interesting nightlife. 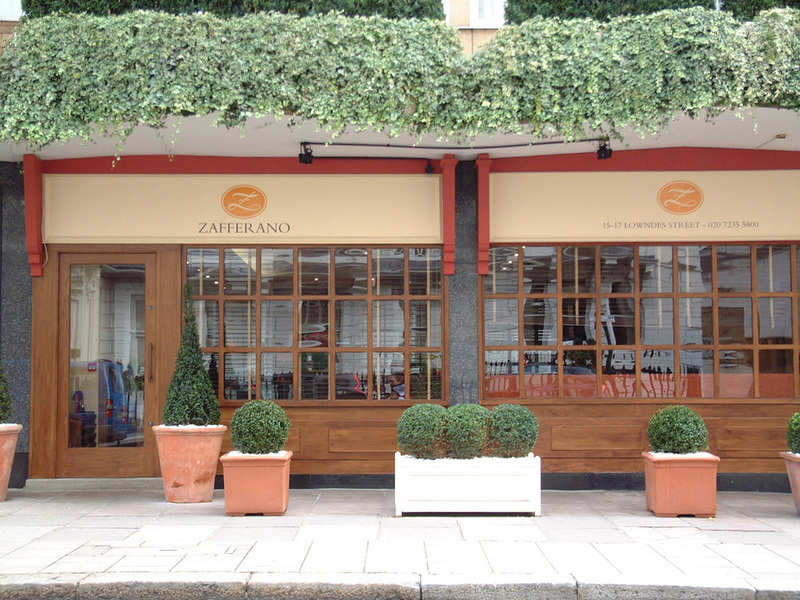 Where to have your meeting, conference, exhibition, private dining or training course near Zafferano. From cheap budget hotels to luxury 5 star suites see our discounts for Zafferano hotels, including The Levin Hotel London from 0% off.